Website promotion is not rocket-science. You can learn it in little steps. By understanding how it works and training yourself to apply the process, it won’t take you longer to see results from your activity. Today’s post will not cover all the methodologies and practices in website promotion — there are so many and it’s impossible to cover in one post. I’ll focus mainly on website promotion through link building. Link building, or link acquisition, can drive an immense exposure to your website, given that links bridge websites where visitors can pass through. 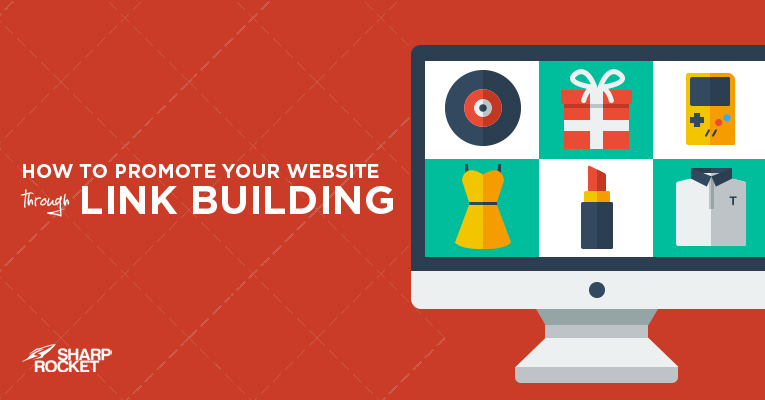 It helps drive visitors from pages to pages. When a website is seen on a page, it gains an initial traction, especially if the anchor text used was branded. It adds interest and provokes curiosity to the reader to visit the linking website. Even in a linkless mention (that requires link reclamation), a visitor may be curious enough to do a quick Google search to know what that mentioned product or brand is. Introducing new brand ambassadors to the online space who are not just representatives, but are also evangelists of brand’s message, and of what the company contributes to the community. Increasing online visibility through enhanced off-page SEO factors of the website, which can help disseminate more awareness about the brand. These, among other benefits, are exposure initiatives being affected by link building. To execute a better website promotion campaign, you must first understand concepts in order to customize your approach. Every website has these three components of website promotion campaign: web assets/resources, means/channel and authority & branding. Let’s discuss each one of them in detail. By knowing your existing resources, you can craft a strategy that utilizes most of them. In fact, you don’t have to think of producing new content all the time, all you have to do is to look at your brand’s inventory and see which asset is best suitable to use in a specific website promotion campaign. This basically means a specific place wherein you’ll utilize your brand assets for promotion. It could be a website, a network, an entity or a subset of digital marketing field you’d want to focus your efforts on. In SEO, your approach for promoting your website involves technicalities (on-page SEO) and link building. When you properly optimize your website in its on-page totality, the links you’ll be building will benefit your website tremendously. You align your channel to your resources. If you have infographics, for example, you may choose Sub-reddit for images and outreach platform (for reaching out to publishers) as means of website promotion. The popularity of a website makes a difference in the results of a site promotion campaign. In blogger outreach, for example, if a brand is well-established in the industry, conversion rate (links to be built from publications) is expected to increase as publishers are already familiar with the brand. Branding (how an entity is differentiated from its competitors) provides a cutting edge in link acquisition. When submit a guest post to another blog and propose a topic with your own unique twist, you’re more likely to get a good link placement than when sending a guest blogging pitch with a generic topic proposal. One of the easiest ways to get contextual links and receive initial exposure for your website is to start linking out to other valuable resources. By adding external links to your content to pages your audience will find informative, you are adding value to the web community. Aside from including resources that will serve as references of your content, consider looking for recent blog posts and publications in your industry that have high likelihood of reciprocating links to your page. Check out bloggers who regularly publish content assets who are linking out to topical content. Link out to them once in a while, as you find their pages fit to cite on your own content works. It’s easy to go straight to website promotion without having a check and balance on what your content is available on your website that adds value to the community. Given that without strong content that matches an audience, it’s difficult to get backlinks. When you do keyword research, you normally assess competition based on the keyword difficulty score a specific tool has calculated for you. Whether you’re using Ahrefs, Moz or SEMRush, every keyword has its own difficulty score .This shows that if you want to target a keyword with difficulty level of let’s say 70 or above, it will require a higher domain authority website to compete for the top spots of search results. Another way to assess competition is to use the intitle: advanced search operator along with the desired topic of your content. Search results will show you how many websites are targeting the same keyphrase with their indexed pages. By using intitle search operator, you’ll be too restrictive with your search results, leaving out articles that have other variations of your keyphrase. For instance, you have searched for intitle:”how to promote your website through seo”, you won’t see articles with titles, such as “Using SEO to Promote Your Website”. In addition to intitle search operator in order to quickly assess competition, you can make variations to check articles that fit to the category. You may use search queries like “website promotion” “seo”, or “seo website promotion”. The reason you want to assess competition is not to bloat your blog with another similar article, but rather to ensure that there would be either a unique angle to the topic, haven’t published yet topic so you may be the first to create or to target the exact keyphrase through long-tail form approach. If you’re into local SEO, this technique can be a huge advantage for you. Supposed that you want to produce more local sales pages, instead of going through the normal approach of using keyword research tools for keyphrases like “pet care”, why not reverse engineer a popular review website’s organic keywords and see if they populate keywords you could target or haven’t targeted yet for sales pages. Start by entering yelp.com into an SEO tool of choice (I’m using Ahrefs for this example). 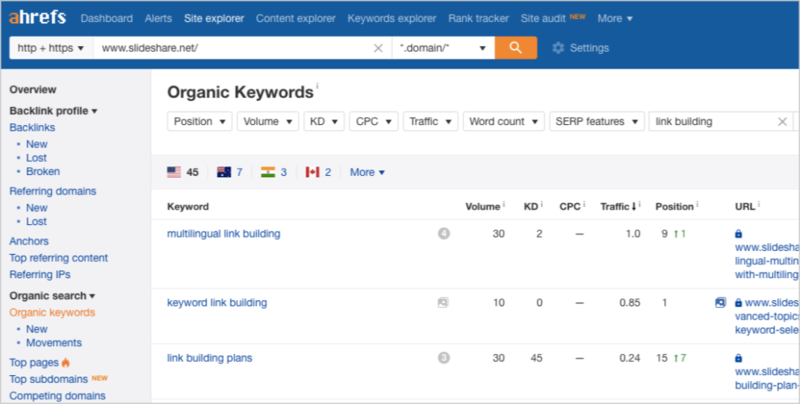 Select their organic keywords section and filter results based on your industry topics. See for yourself which keyword is relevant to target for your local website’s sales page. There are a lot of image link building strategies in the search space today, but one that’s not really maximized to its full extent is reverse engineering top visual submission websites. Slideshare, for example, dominates most of the reports, data, and visual-driven keywords. If you want to produce an infographic or create a visual-oriented content, you can plug in Slideshare or other top visual websites and see what keywords they’re currently ranking. Filter these keywords based on your industry topics and assess which one you can target for your brand’s visual content. There is one powerful tactic that will help you consistently earn authority links over time and even get competitors backlinks, that is producing statistics content. You can produce it internally if you have same data in place, or curate exclusive and premium reports from trusted statistic websites like Statistica. Moreover, if you see a statistics reports brought up year over year, you can provide an entire archive of statistics on your website. Given that many people are searching it every year, there’s a definite value community is giving to such kind of report. In that sense, it’s a huge advantage you can get if you have produced an entire archive of statistics. Reddit is a good place to develop your audience. It has only been misunderstood these days by some marketers banned because of their manipulative tactics to get more visibility in their subreddit of choice. But if you do things properly, you can get repetitive traffic from the website by submitting or putting out content. One way to reverse engineer success in Reddit is to use Buzzsumo. Buzzsumo has an incredible feature of giving you Reddit engagements similar to the usual number of social shares (Facebook, Twitter) you see in every URL. By looking at Reddit engagements, you can assess if the topic of your choice has a potential to get massive traction in its specified Reddit. It’s a lazy behavior to make an assessment of the traction a topic based on the overall total score from social shares and other websites’ engagements. Given that each network or site has its own set of audience (with its own culture of engagement, interest and style), it would be reasonable to stick on looking at one engagement score, in this case, Reddit engagements alone. If you can find a topic with good potential engagement on Reddit, you can craft a content that is suitable only for a sub-reddit. One way to get the most out of your Reddit initiative is to submit content’s URL to a sub-reddit during optimal times. You can use a tool like Later for Reddit to schedule your post at your desired day and time. One way to promote your website is to make use of your professional organizations your company or entity has been a partner of. There are Chambers of Commerce, industry professional organizations,and other similar sites you can contact to for further promotion of your brand. There are entities that will require recurring payment, some would love just a donation in exchange for a feature on a page or on a magazine or exhibit event. Whatever it is, make sure you find them first and reach out to them whenever you see them fit to your brand. You can check out this guide for more search queries targeting professional organizations. Without any cost, every person can spend their time engaging the community. When I started my first blog, Digital Philippines (now redirected to SharpRocket link building blog), one of the things that I regularly did is to look for specific channels, networks and websites I could provide value by asking and answering questions. Most of the time, people think that you have to be an expert before you start going outside of your blog and looking for places for engagement. It’s not the way industry practitioners work today. In fact, you’ll find most of them just asking questions to one another, creating an Ask Me Anything section and then roll over conversations. It is important to monitor your performance in engaging the community and check which inputs will you give the maximum outputs in return. One good approach is to choose specific questions on Quora that got traction already in the past and still getting more views given they’re currently ranking for some informational keywords. 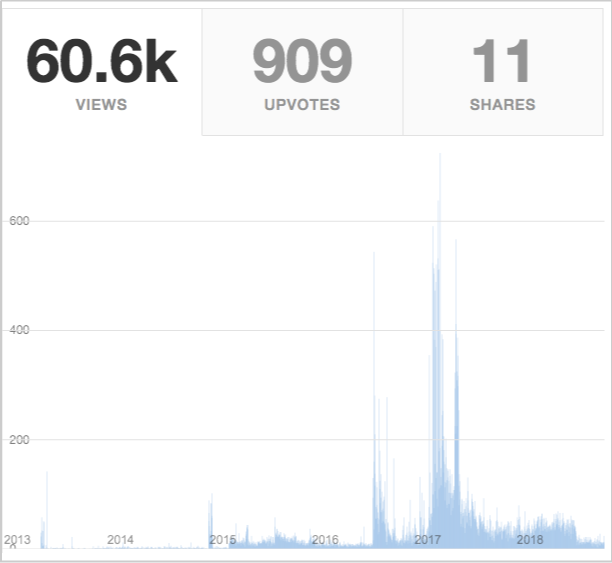 If more people are searching for the question and has landed on Quora question page, your answer may potentially get more exposure (adding up if your answer is marked as top answer). There are hundreds of ways to promote your website that I haven’t covered here. But if you would like to take little steps in website promotion, start implementing tactics above and see if they worked for you. Discover more approaches to get traction for your website by reading SEO and link building blogs, guides, and ebooks. Practice them as soon as ponder them to be of useful to you. There’s no way you can say it works if you haven’t executed it properly.